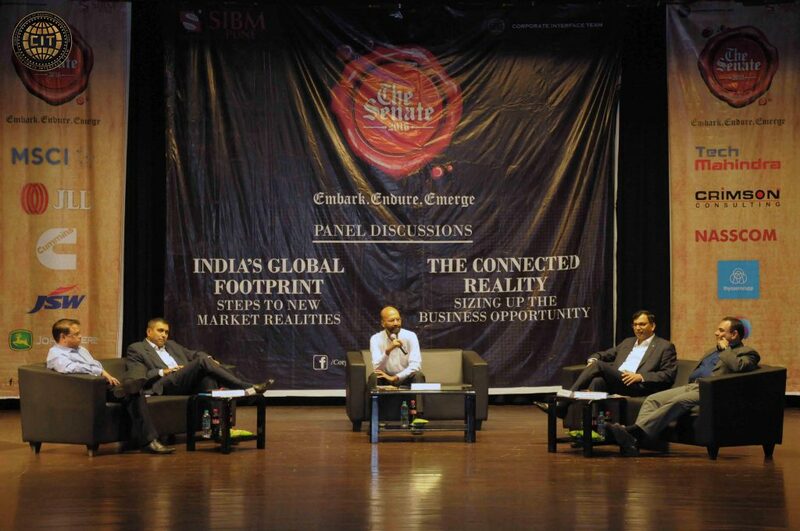 The Senate 2016, organized by the Corporate Interface Team of SIBM Pune is a flagship management conclave that hosts a number of thought-leaders and industry pioneers, was held on January 17th 2016, at the Symbiosis Knowledge Village, Lavale. It was a one day event with panel discussions on two topics followed by Q&A sessions with the students. The Senate aims at bringing together thought leaders from the corporate world to engage in panel discussions on various facets of their industries and share their business acumen with students. 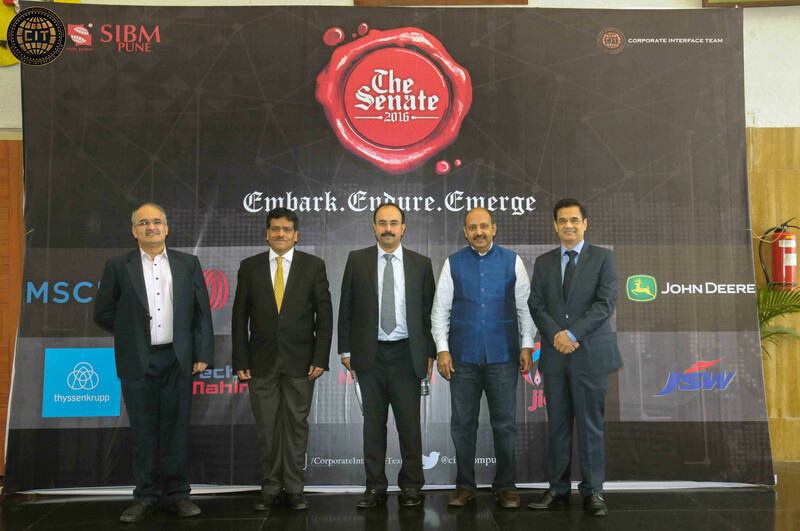 The audience of The Senate 2016 comprised of around 200 students from various B-Schools across Western India. The Senate 2016 consisted of two Panel Discussions. The panel on ‘India’s Global Footprint: Steps to New Market Realities’ gave insights on how India and the Indian and multinational corporate houses have taken a number of initiatives in recent years to intensify relations and cooperation efforts with the rest of the world. India’s relationship with the rest of the World has come a long way over the past several years. By capitalizing on the growing momentum of relationships between them, these countries are building a strong, sustainable partnership and ushering in a new, unprecedented era of cooperation, growth and development. The panel on ‘The Connected Reality: Sizing up the Business Opportunity’ discussed how the Internet of Things means more than simply having devices and machines connected and talking to each other. It potentially represents a profound shift affecting the way businesses and society operate with, significant developments in communications, energy and transportation providing the major impetus. The introduction of IoT is going to make the environment disruptive and firms that wish to explore these blue ocean opportunities will need to come up with smart strategies to overcome hurdles, that may present themselves. The Senate 2016 was a grand success with involved participation from students as well as corporates.